AS THE EARTH REVOLVES AROUND THE SUN, THERE IS AN ECCENTRICITY TO THE EARTH’S ORBIT. THIS ECCENTRICITY RESULTS IN A DIFFERENCE BETWEEN THE APPARENT SOLAR TIME AND THE ACTUAL TIME. / THIS DIFFERENCE IS DEFINED BY THE EQUATION OF TIME. THE EQUATION OF TIME IS THE SUM OF TWO / OFFSET SINE CURVES WITH PERIODS OF ONE YEAR AND SIX MONTHS RESPECTIVELY. TO CORRECT FOR / THIS DIFFERENCE, FIND THE DATE ON THE GRAPH ABOVE AND ADD OR SUBTRACT THE NUMBER / OF MINUTES TO OBTAIN THE ACTUAL TIME FROM THAT OF THE APPARENT SOLAR TIME ON THE SUNDIAL. The city created a committee in 1999 to design a project to symbolize the millennium. Massive flooding from Hurricane Floyd and cost considerations then delayed the project until six years past the turn of the century. 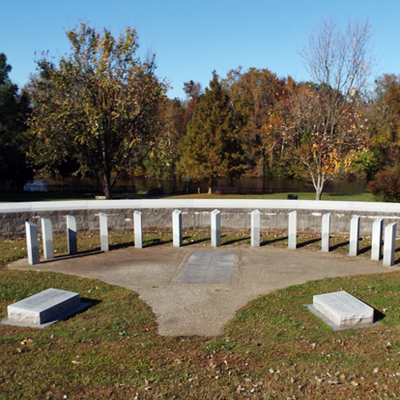 The memorial is located on the Town Commons at 105 E. 1st Street in Greenville, NC, as part of and next to the Veterans Memorial complex. Other memorials at this location include a Fallen Soldier memorial, the Old Brickell Cannon, World War One, World War Two, Korean War, and a Vietnam and Iraqi Freedom War memorials. The Town Common features 21 acres of open green space located adjacent to the Uptown Greenville District. 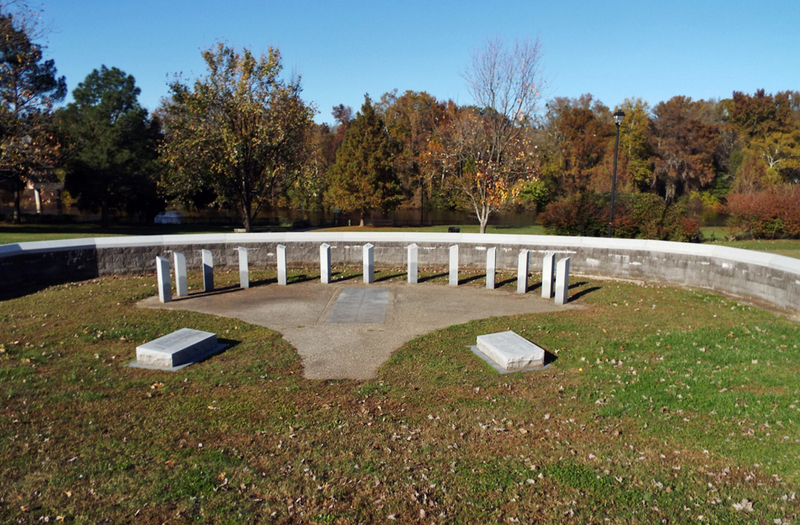 The Town Common is connected to the South Greenville Greenway by paved walk-ways, the Town Creek Bridge, a 1500-foot river walk and WWI Memorial Bridge along the Tar River. The Summer Solstice is observed each year at the sundial. Annual Memorial Day, July 4th and Veterans Day activities also take place on the Town Commons.